Warm, cold, warm, cold, rain.... Snow, warm? We've had some nutty weather over here in the NYC area. All of the snow melt has made for some very muddy riding earlier this week before things froze again. Here's some lovely photo evidence of my rather impressive dirt tan lines! 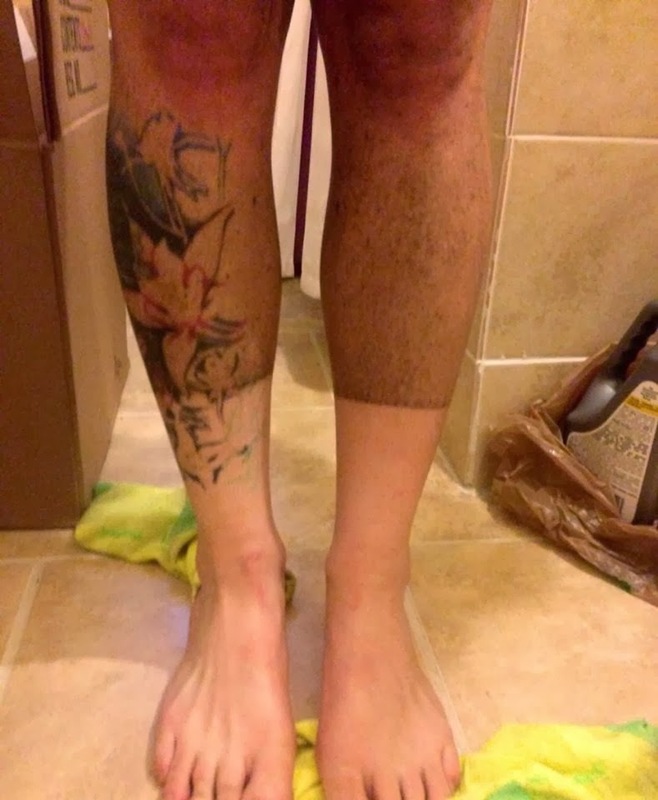 dirt tan lines for December. 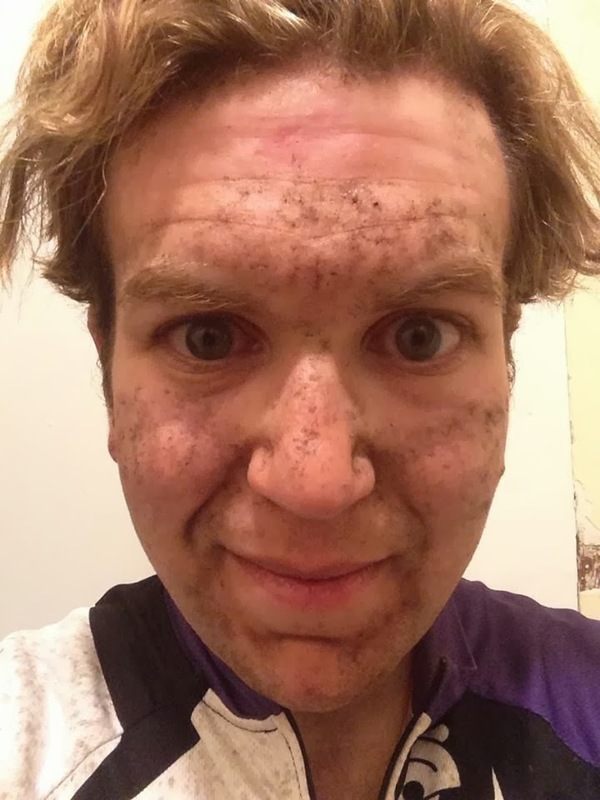 cycling mud masque, anyone? With a side of bleary, road salt splattered eye treatment. It's officially here! It's been here for about a month now. It's winter riding season. 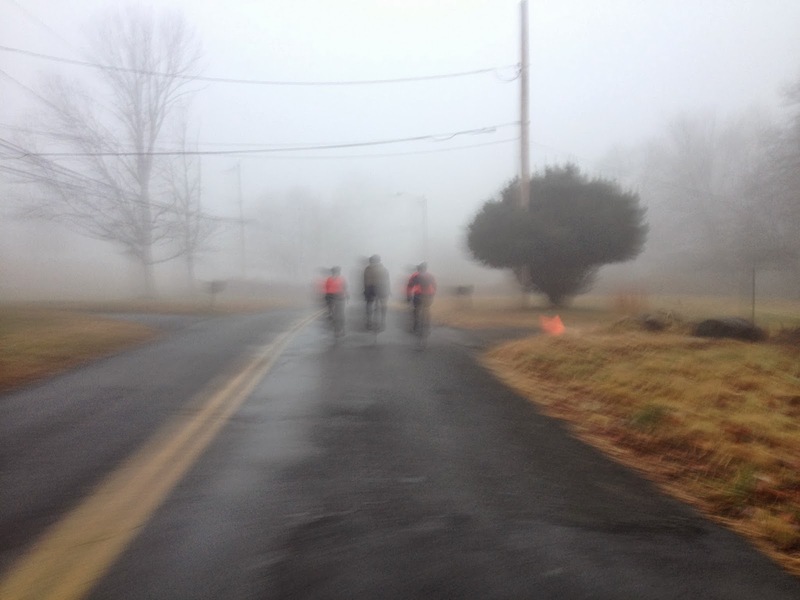 Although sometimes it takes extra motivation to step out into the mist, or onto the frozen ground outside the doorstop, all hesitancy is always erased once I'm on my bike and moving. Winter changes the landscape, making everything new again. Old routes covered in ice, or bare of leaves with new views at the top of climbs. Into the wintry mist... friends, fun, and fog! Tip for winter success: Order a case of those instant hand and toe warmers, so there is nothing holding you back from getting on your bike when it's freezing outside. 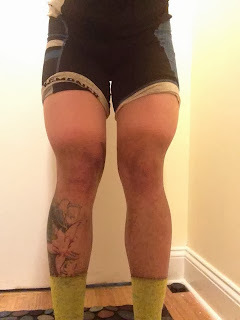 Toe warmers make the difference for me, as cold feet is my big rate limiting factor. Also, get some good waterproof shoe covers. Then, it's off into the cold-damp-beautiful world with you!